Daniel Nuzum, who works as a Chaplain at Cork University Hospital and Marymount University Hospice presented an Oral Presentation ‘The personal and professional impact of stillbirth on Consultant Obstetricians’ at the Annual Education and Research Seminar of the Irish Association for Palliative Care in Dublin on 08 February. 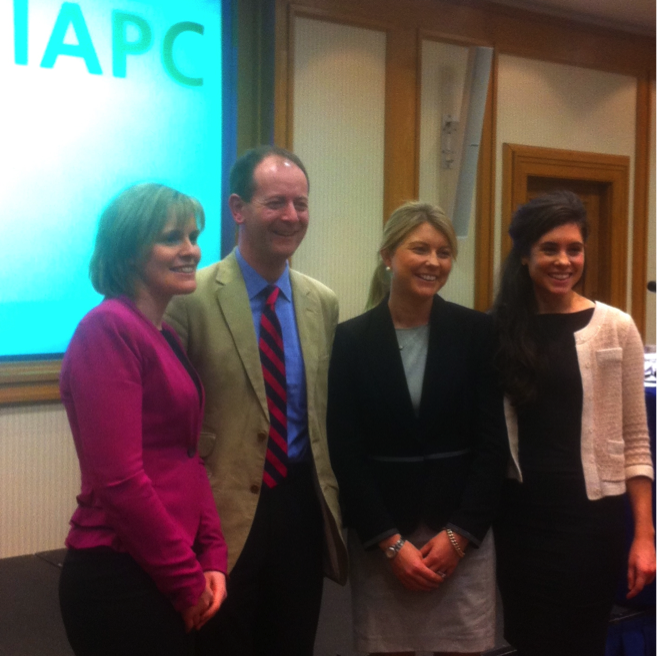 Daniel Nuzum (second form left), pictured with fellow presenters (l-r) Ms Valerie Jennings, Our Lady’s Children’s Hospital, Dublin, Dr Mary-Jane O’Leary, Vancouver Coastal Health, Canada, and Dr Aoife Lowney, St Francis Hospice, Dublin. being invited to present some of my research to a palliative care audience was a wonderful example of the importance and role of inter-disciplinary working and research that honours the holistic approach at the heart of palliative medicine. This entry was posted in Chaplaincies, Church in Society, Clergy, Contemporary Issues, Continuing Ministerial Education, Pastoral. Bookmark the permalink.